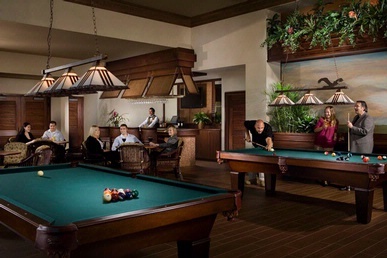 Whether it's work or play, the splendor of the Moody Gardens surrounds you in this little piece of paradise. Enjoy a rare, up-close experience with free-roaming Saki Monkeys, beautiful macaws and other endangered animals and plants at the all new Rainforest Pyramid®. Escape to the South Atlantic, Pacific or Caribbean in peaceful tranquility with playful penguins, seals, sharks and bountiful tropical fish at the Aquarium Pyramid®. Celebrate the mysteries of science at the Discovery Museum. Feel the white sand between your toes at Palm Beach where a summer adventure and a lazy river await. Next, embark on a Colonel Paddlewheel Boat cruise or a new challenge at the Moody Gardens Golf Course. 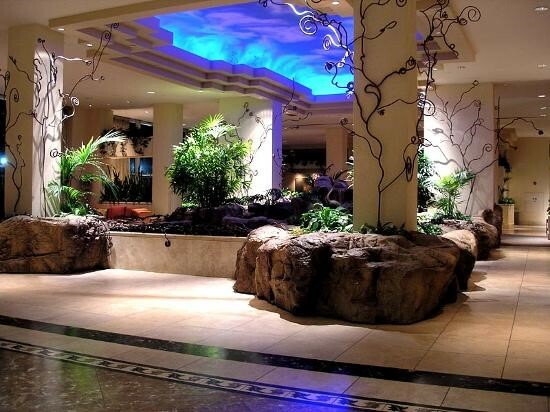 Then relax and indulge in a little island time amongst lush gardens and the beautiful Moody Gardens® Hotel. 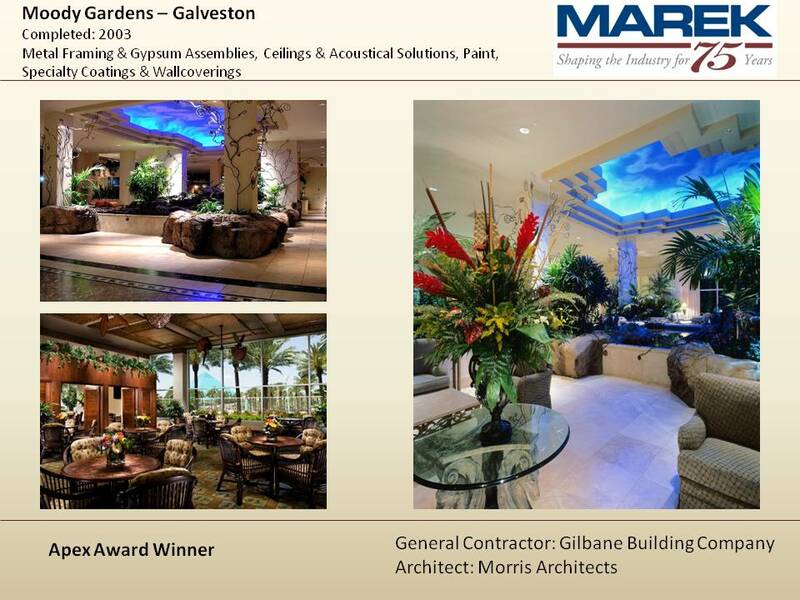 With 428 luxurious guest rooms and over 103,000 square feet of state-of-the-art meeting and convention space, this world class Galveston hotel and conference facility is set among 242 acres of botanical beauty and accented by magnificent pyramids that contain a living rainforest, a Texas-sized aquarium and a Giant Screen 3-D Theatre. Minimum age to check into the hotel is 21 years old. If the extensive scope, the magnitude, the level of detail, the excellence required, and indimidating completion schedule on this project were difficult enough to contend with. During the course of construction, we encountered and overcame a couple of additional challenges. Two destructive tropical storms wrecked havoc on Galveston Island, resulting in flooding of the hotel. Marek Brothers had to remove damaged Cold Formed Metal Framing, drywall and insulation through the nine story structure. Again, all of this was carried out without modifying the construction schedule. The Moody Gardens Phase V Project consisted of a diverse array of tasks, including building the Conference Center, South Warehouse, West Maintenance Building, Restaurant, Parking Garage, Hotel, and Convention Center. Phase V added a new nine story north tower with 125 guest rooms and lavish poolside suites to the already existing ultra-luxurious hotel. The north tower boasts elegant stone planter boxes and stunning barrel vaulted ceilings. The construction of the north tower was performed while the existing hotel with 303 rooms was constantly occupied with guests. One of the most demanding requirements presented to Marek Brothers was linking the newly constructed tower into the existing hotel. This challenging task included the demolition of approximately one hundred lineal feet of plaster and heavy gauge cold-formed metal framing at each of the nine floors. 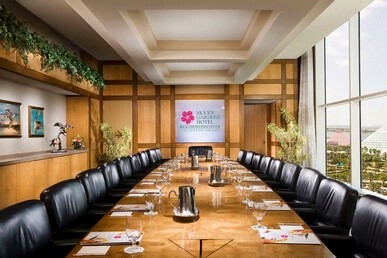 The hotel’s north tower features a convenient connection to the newly renovated 90,000 square foot Convention Center, which is one hundred percent column free. 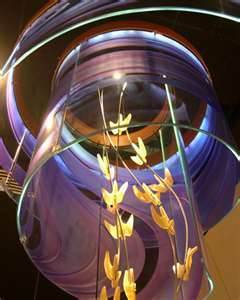 The Convention Center’s main lobby has four extravagant glass sculptures that are suspended from the ceiling and are valued at over one million dollars. 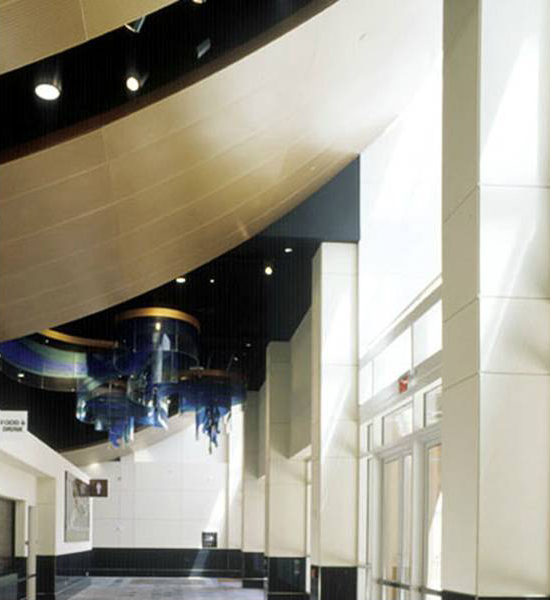 The exhibit hall can be separated for multiple functions at one specific time by four of the largest skyfold partitions in the United States. The exhibit hall also houses 6,000 retractable seats; which when not in use, are concealed by a retractable metal woven mesh. 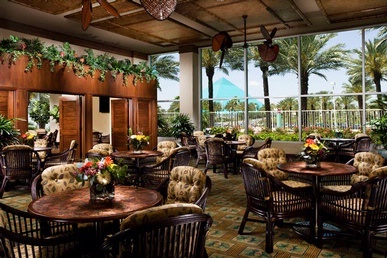 Phase V added the renovation of the Conference Center and The Terrace Restaurant; which is filled with tropical plants, hand painted murals, hand painted stained ceilings and magnificent drywall furrdowns. Four support facilities (South Warehouse, West Maintenance Building along with two more additional Maintenance facilities) and a newly opened 1,000 car parking garage were also added. It is attached to the Convention Center by a plaza, which is covered by a glass canopy that spans 300 lineal feet. Marek Brothers' scope of work attended to many facets of the general construction. Our work included drywall, acoustical ceilings, VCT flooring, sound and thermal building insulation, rough carpentry, FRP panels, corner guards, reveal trims, access panels, door frames, doors, hardware, and manpower to operate the man/material hoist and elevators during construction. The drywall construction was the most strenuous and complex of our work. The exterior wall construction consists of cold-formed metal framing, from ground floor to penthouse, engineered and constructed to withstand hurricane force winds up to 120 mph. The outside face of the metal framing is clad with Dens-Glass Gold sheathing, installed in a puzzle-like manner, with necessary galvanized trims and flexible silicone sealant to allow for expansion control while maintaining a secondary weather barrier. Most of the walls throughout the project are comprised with multi-layers of gypsum board to accommodate sound control, fire ratings and the installation of several thousand linear feet of reveal trims. Drywall ceilings are abundant in this hotel. In the guest rooms, they conceal the MEP trades’ rough-in work. Vaulted ceilings accompany all guest room corridors. Suspended ceilings prevail over much of the public areas, with a multitude of interruptions due to light fixtures, continuous slot diffusers, control joints and furdowns. The drywall furdowns exhibit some of our most visually impressive work composed of assorted light troughs, planter boxes, stair steps, offsets, angles and radius detail work. 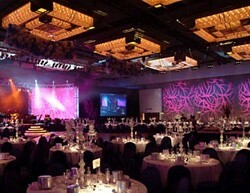 All of this began for Marek Brothers in April 2002 and was completed in December 2003. Also in the construction phase, the “planning team” added two floors to the hotel without incorporating additional days into the scheduled completion date. In conclusion, Marek Brothers contributed 242,215 man-hours of the approximately 1.5 million total man-hours worked on this project. The new construction added to the Moody Gardens Complex was completed at a cost of $120 million dollars.